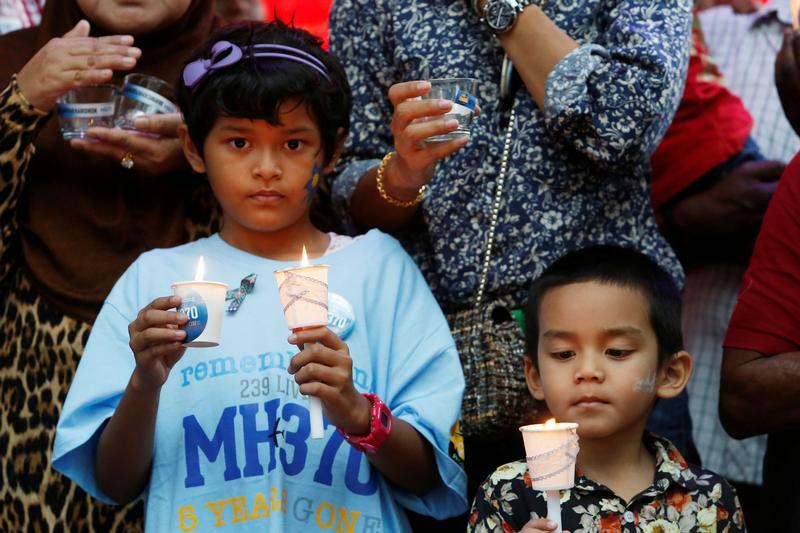 Iman and Muhammad, children of Mohd Hazrin Hasnan, the flight attendant who was onboard the missing Malaysia Airlines flight MH370, hold candles during its fifth annual remembrance event in Kuala Lumpur, Malaysia March 3, 2019. Malaysian Prime Minister Mahathir Mohamad said on March 12 that the government is considering whether to shut, sell or refinance its flag carrier, Malaysia Airlines, and would make a decision “soon”. The airline - hit by twin disasters in 2014, including the disappearance of flight MH370 - had aimed to break even in 2018. Sovereign wealth fund Khazanah Nasional took the carrier private in 2014. Managing Director Shahril Ridza Ridzuan said on March 5 that the government needed to take a call on its investment in Malaysia Airlines. Malaysia Airlines said on March 1 that it had finished 2018 with only a “marginally lower loss”, blaming crew shortages, along with increased supply as competitors added capacity, and volatile fuel and currency conditions.